If you are looking for great ways to improve your business, whether it is by attracting customers and clients or to improve on company morale, a corporate golf event is one great way to do that. Not only can you fully brand them so they are always reminded about you and your company, but it also gives you a chance to spend a greater amount of time with them than you normally would have the chance to. It is very likely that you have heard of these kinds of events in the past. Perhaps a colleague or client has spoken about one they have been to, but you have remained on the fence about them and their effectiveness and have not gone ahead hosting your own. To help encourage you to consider hosting on in the future, in the following post we will look at seven great benefits of golf events. It can be hard to arrange time with your prospective clients due to their and your own busy schedules. By hosting a golf day, you have the opportunity to spend a longer amount of time with them. You will have the chance to connect with them on a personal level, without offices agendas and suits getting in the way and making things too formal. A recommended approach is to invite prospective and existing clients to these events, it gives them the chance to mingle and explain the service and relationship you provide as a business. Existing clients can take on the role of sales staff during your event. 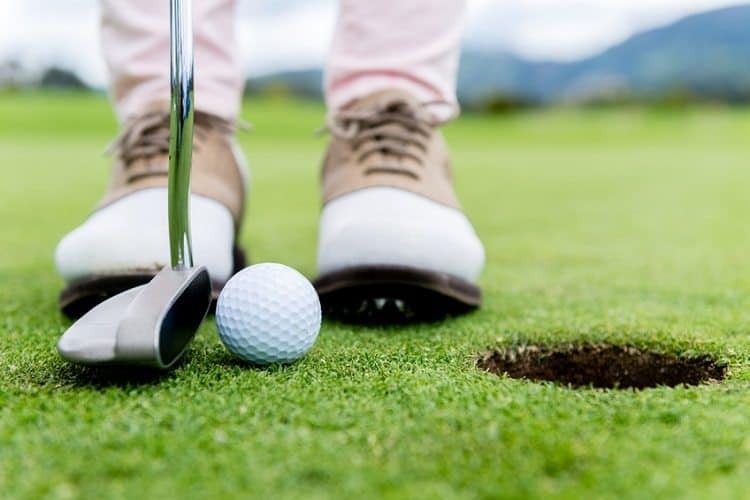 In addition and almost vitally, golf events provide the perfect mixer and chance to pair attendees together that can be an advantage to one another. For instance, your accountant could play with on of your newer clients who has a growing account, to develop an effective and positive working relationship. Clients will look at the way your golf event is organised and run which can reflect on the professionalism of your business and how you run it. Therefore, a corporate golf day that is run well, will reinforce the quality of your services. Proper preparation is paramount. So work alongside your event organiser and the club it will be held at, to ensure nothing is missed out. The particular golf club you choose can have an impact on how your business is portrayed. So choose one that you feel is on your level. By hosting a corporate golf event, you are able to distinguish yourself from the crowd of competitors your company has. Do your utmost to ensure that your golf day is the event that your existing and prospective clients want to be at. If you host an event every year, bring something unique and different to it every year. Whether it’s a putting or teeing off coaching clinic, a trick shot demonstration or a trendy food truck at the halfway mark. Work on creating moments with your clients, as this will help them to have positive feelings associated to your company. Speaking of crating moments with your clients, you can hire a photographer as a way to create good memories for your clients. Ensure that your photographer is available for the entire day, from the moment guests arrive, through to teeing off, working round the course, and the reception drinks and dinner afterwards. Consider creating a photo album on your Facebook page for the event or upload them to a photo hosting site and make them free to download. Shares and engagement rules over all in modern internet marketing and social media plays a huge part in the perception of businesses, groups and individuals. With this in mind when you host a golf event, you can have a hashtag assigned specifically for the event. To draw attention to it and increase engagement with social media, a screen can be set up at the event showing a live stream of how the event’s hashtag is being used. Recurring events can be hard to market in the beginning, with there being limited content available to use to attract the initial sponsors and clients. A production team is worth investing in for your first event that will last you for a number of years to come while you establish recognition and collect usable content. It’s also a great way to follow-up with clients who attended your event afterwards to show them photos and footage, continuing the conversation that was started during your event. Corporate events like golf days or tournaments are also great ways to thank your clients for the business they bring to your company and their continued loyalty. Although your company does not benefit from this, loyalty is further promoted and your clients realise you are not just selling to them and appreciate their support. People like to know that they are appreciated, even from the company they do business with regularly. Successful business growth is possible in an important way by establishing relationships and a corporate golf event like those available from ClubsAway Event Management, is the perfect way to establish and work on these kinds of relationships. There are a lot of great reasons to host golf events, whether it is simply hiring a nice golf club and their course for the day or hosting a golf tournament for your clients and customers. In addition to the golf, which is a great way to unwind in the great outdoors and get to know each other without the formalities of offices, you can have drinks and a proper sit-down meal. This provides plenty of opportunities to continue discussions and conversations started on the course in a more formal, but still reasonably relaxing atmosphere.